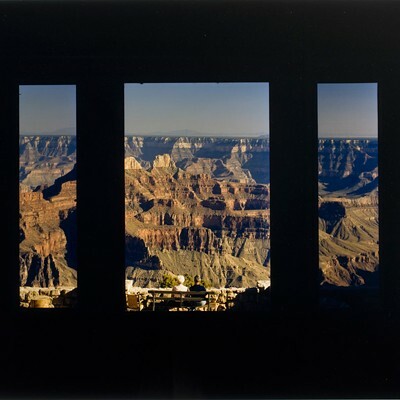 "Photography and America's National Parks"
A century ago, the United States created the National Park Service to preserve some of the continent's most breathtaking wild spaces. Over time, the wilderness has also become a tourist playground. 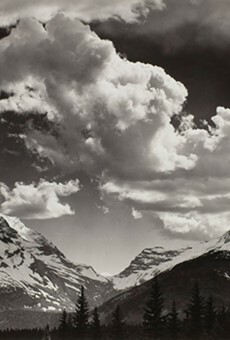 In celebration of this anniversary, the George Eastman Museum is hosting "Photography and America's National Parks," an exhibition of images and materials that explore the role photography played in the development of the NPS, in the country's westward expansion, and in shaping our understanding of the nation's natural spaces. 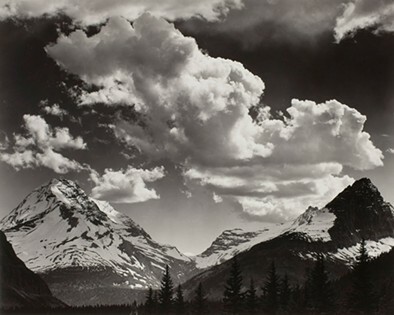 Drawn primarily from the Eastman Museum collection, hundreds of images, motion pictures, and other materials, spanning from the 1860's to the present, represent more than 20 National Parks, with a mostly Midwest and West Coast focus. 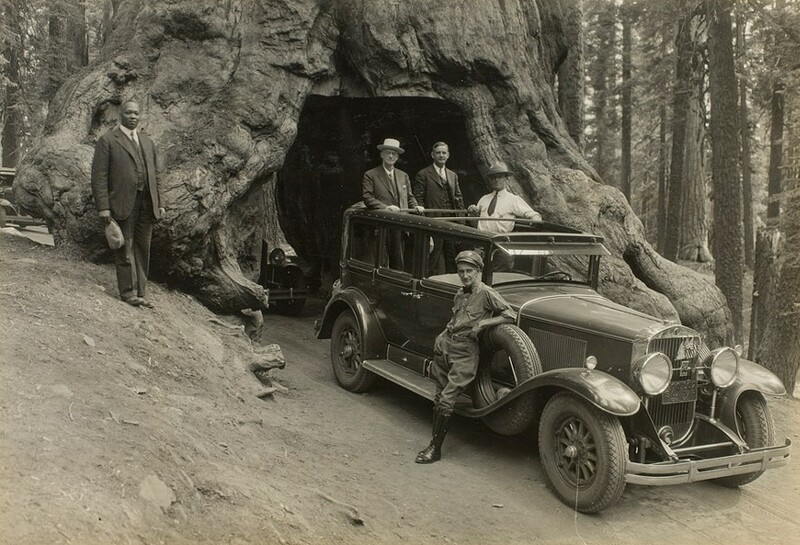 Audley D. Stewart's image of George Eastman and companions riding through Wawona Tree in Yosemite National Park in 1930. "There were three basic concepts that came up," says Associate Curator Jamie Allen. "The first is that as we are exploring the land in the 1860's and 1870's, it is photography that establishes the vantage point that we want to stand at and photograph over and over and over again. 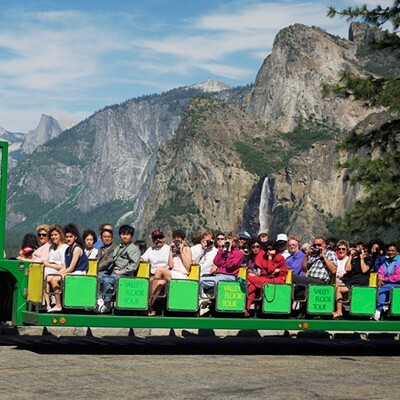 Another is how tourism shaped how we view these spaces, and how photography interacts with them. And the third is how art and the National Parks meet, and how photographers call upon this lineage and photograph how we have affected these natural, wild spaces." The first room of the Main Galleries includes a sizeable section on Yosemite, which was set aside as publicly held land in 1864 (Yellowstone, later, would become the first official national park). 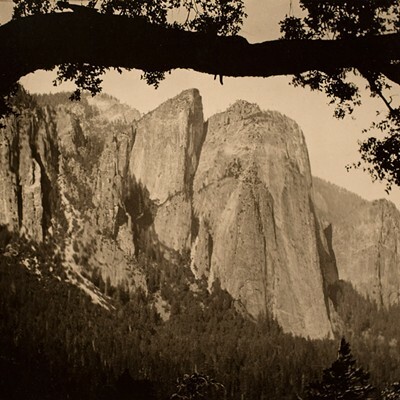 Of particular note are iconic images of the land's prized, geological "cathedrals" by Carleton Watkins, Eadweard Muybridge, Ansel Adams, and Alvin Langdon Coburn, who each helped draw public's imagination and interest to the West. "As the Civil War is going on in the East, there is land exploration happening in the West," Allen says. Organizations such as the California Geological Survey were trying to figure out what the United States had, in terms of land, and what was unique to that area. Though photographic equipment was transportable at the time, Allen paints an intriguing vision of hazard: behind the scenes of the sweeping grandeur immortalized in Watkins' work, for example, are his rented mules bearing boxes of fragile collodion gear and materials. "They're carrying around glass plate negatives for each of the pictures that are the same size as the final photograph," Allen says. Coinciding with the familiar vistas, the exhibition presents an in-depth look at the development of some of the first examples of "going viral." The initial wave of photographers snapped up the most wondrous perspectives, selling those images to publishers, and others followed, often putting their own spin on the same shot. Some of these images became mass-produced in postcards and tiny collectible snapshots. Later came the tourists, who would seek out and photograph those same natural monuments. "You still see people on Instagram today taking the exact same images," Allen says. The second room further sharpens the show's focus on exploration, including books produced for the United States Geological Survey, which were sent to Congress to educate and appeal for more funding. 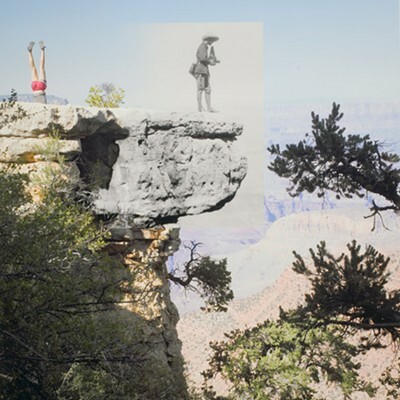 Slideshow "Photography and America's National Parks"
Materials from significant "rephotography" projects, including the Rephotographic Survey Project, provide a sense of how the parks have changed over time. 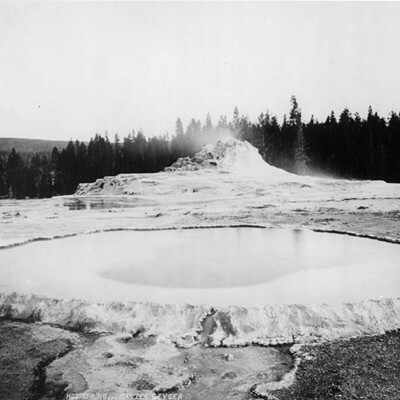 The appearance of the automobile dramatically changed the landscape with paved roadways and the appearance of hotels, and we also see evidence of the changes in how people are permitted to interact with the protected spaces — no more standing upon geysers. People have always made their homes in these spaces, but throughout the show, indigenous inhabitants are noticeably missing from any view except for their commercial value in tourist reel. 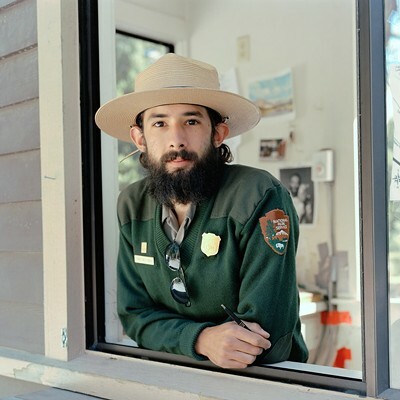 Michael Matthew Woodlee's contemporary images peer into the lives of current residents of Yosemite, who work as rangers or postmasters — there are even schools for the children who live there — as well as trail walkers who traverse the entirety of Yosemite Valley. 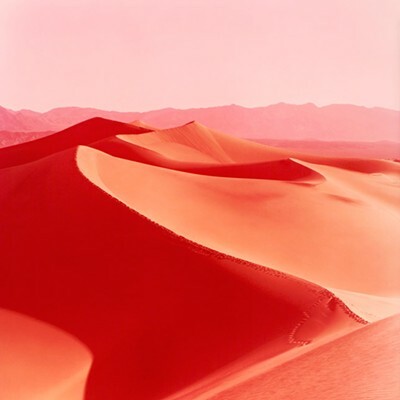 A particularly singular image in the contemporary section is David Benjamin Sherry's image of undulating dunes in Death Valley. The work is toned in hot, acidic pinks and reds, and projects a dually romantic and lonely mood. In addition to photographing, "he sits and reads poetry and writes in his journal," Allen says. "When he returns to the darkroom, he takes those feelings and thoughts and transmits them into color." The final room in the show deals with land conservation, providing a good space for the public to reflect on the past and consider the future of these priceless places. The exhibit includes four large photo murals of park vistas, providing an opportunity for visitors to take a photograph "at the parks." If you post a selfie in front of the murals on social media, use the tag #GEMparks. A family guide with activities for children is also offered, and can be exchanged for a prize when it's completed.